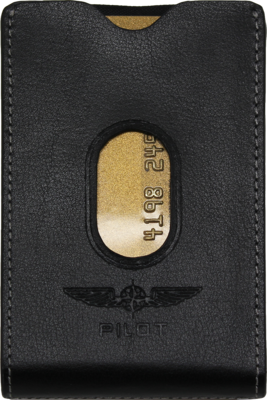 A stainless steel money clip is on the front side and below a silver metal wing and an embossed PILOT®-Logo on the back. Inside you can find six card-slots for credit cards and one for a business card. The quick access-slots ensure that you find the right card quickly and conveniently.